Here it is, my first Franken Friday! I already posted a couple of frankens but this is the first of what I hope will be a long tradition. 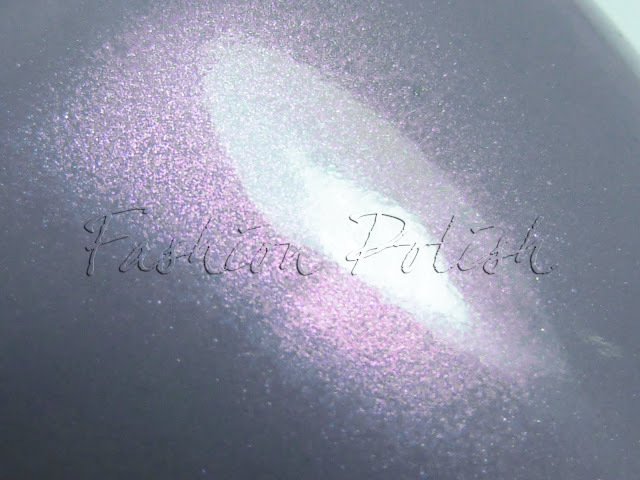 I never had access to the P2 brand and I always wanted to own Elegant, from the swatches I've seen, it's a beautiful greyed out mauve with an amazing pink shimmer. If you're curious to see what it looks like, Parokeets has some swatches here. Today, I have a few "Elegant" inspiration manicures : a couple of layerings, a gift from a friend and of course a franken! It all began with a random nail polish I found in a clearance bin, beautiful pink microshimmer flecks in a sheer gray base. I layered it over Zoya Dove. I think it looks amazing but the shimmer flecks were too big to satisfy my Elegant lemming. 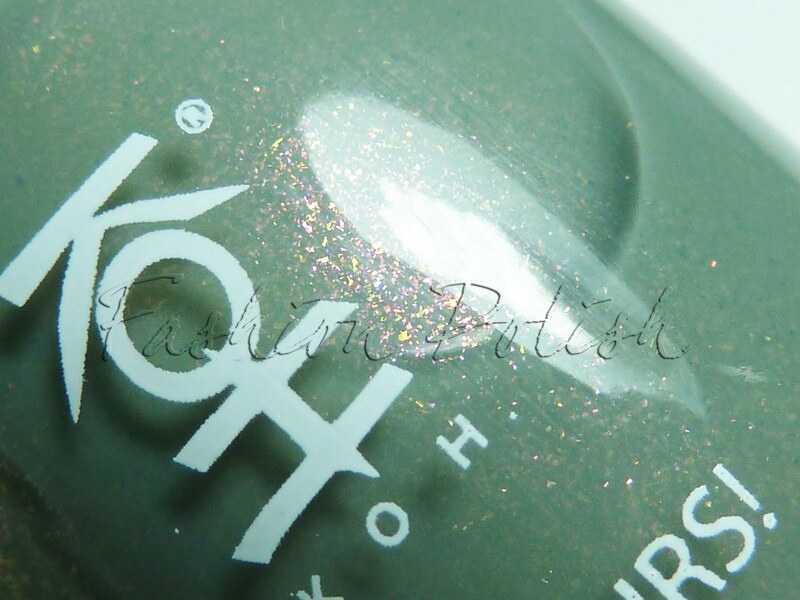 Then, I received the most amazing nail polish from one of my close friends in Holland : Koh Baby Grey! This is a really unique shade, very delicate and I feel so grateful to have it but once again, being a green based grey, it's too different from the P2 nail polish. Soon after, Essie Kisses and Bises was released and of course I had to try it. Again I painted it over Zoya Dove but as much as I liked the result I could tell the difference between this layering and a true shimmer, it was obvious that the shimmer from K&B didn't come from the nail polish itself. I think that I've managed to come very close this time and I just love the result. 4 big drops of American Apparel African Violet. So, what do you think? Which one's your favorite? Well done! Love the pink shimmer in this. That last picture is gorgeous. The polish that is! I like all the polishes. That pink shimmer is so pretty. What a nice story wth lovely polishes, hope someone sends you Elegant so you can do a comparison! They're are beautiful, but your franken is just....lovely! Franken, I know we've just met, but I think I'm in love! That is one awesome franken!!!!!!!!! All these colours are very pretty and unique, the Koh one looks so chic!